Kansas City, Mo. 's 2.2-mile streetcar line, coming next year, sits in the center of an innovation district that will include smart city elements like free Wi-Fi, station interactive kiosks and sensors to guide traffic and control streetlights. KANSAS CITY, Mo. -- The upcoming 2.2-mile downtown streetcar line in Kansas City, Mo. will be the focal point of an ambitious smart city project involving Cisco, Sprint and smaller app developers who plan to combine their engineering talents in new ways. The value of the smart city project is clear-cut in some ways—including the more efficient use of streetlights and better city services. In other ways, the project's expected return on investment is vague, albeit promising. There's an intangible pioneering technology spirit in Kansas City at play. It's almost as if a massive Internet of Things petri dish has been plopped down in the heart of the city to help incubate new ideas, apps and tech services. Other U.S. cities are in the throes of similar downtown conversions—seeking ways to mash-up large-scale housing and commercial redevelopment in older areas with mass transit, wireless technology and Internet of Things sensors linked in a massive network. Kansas City, Mo. may have a slight edge over other cities, partly because Google picked this metro area for its first Google Fiber three years ago, igniting a flurry of interest in all things tech in what's often called Mid-America. Coming to 13 of 16 new KC Streetcar stops are large-display interactive kiosks that operate over Wi-Fi and with wireless beacons. There will also be smart streetlights and traffic signals, as well as video sensors for measuring everything from parking to snowfall to help local officials know where to dispatch snowplows. The Downtown Streetcar line under construction along Main Street in Kansas City, Mo. will serve an area of accelerator and incubator office spaces for tech startups. Cisco plans a smart city network in the area along the line. Cisco and the city also hope to harvest a variety of opt-in data gathered from the visitors' smartphones, local businesses and residents about what they like in restaurants and points of interests as well as any problems or complaints they have. Aggregate data will tell the city where it needs to consider expanding the planned Wi-Fi zone and other services—and even whether the streetcar project should be expanded. The current $102 million KC Streetcar project is nearing completion and will open in mid-2016; it will offer free rides to residents and visitors along Main Street from the restored Union Station northward to an inviting market neighborhood near the Missouri River. Sleek, new streetcars are expected to arrive for testing in October. Residential taxpayers and apartment and hotel developers have generally supported the effort as a way to promote new growth in the aging downtown. The city estimates that the streetcar project has directly generated $500 million in new downtown development, while another $1 billion in new development is under way nearby. Eight residents said in interviews that they wish the line went further into other neighborhoods—something city planners have talked up in the face of taxpayer concerns about cost. But several other people were mystified about the value of the smart city project. Some noted that free outdoor Wi-Fi will be great, but isn't exactly a novelty and is already available in outdoor spaces of other cities. "It sounds nice, but what's the ROI of all of it," asked a retired U.S. Air Force pharmacist while strolling with her dog near an outdoor concert on a recent Saturday evening. The woman was walking in the Crossroads Arts District near the streetcar line. Elsewhere downtown, 24-year-old entrepreneur John Ruiz said he decided to keep his small private wireless security company in Kansas City rather than move to San Francisco because of the blossoming tech and developer community in neighborhoods near the streetcar line. John Ruiz, a tech entrepreneur, works at Think Big's collaborative office space -- just steps from Kansas City's coming streetcar line. He stayed in the city to take advantage of the focus on innovation for young developers. "The value [of the streetcar and smart city project] is long-term. Initially, they help legitimize the downtown," Ruiz said. "The biggest difficulty is going to be moving the benefits outside this downtown bubble." His company, EB Systems, provides wireless beacons to monitor the movements of private security and custodial workers as they make their rounds. Finding the ROI in any new technology project is always difficult, and can even kill a project before it gets off the ground. However, Cisco obviously believes in the Kansas City project; it plans to invest $12 million with various partners over the next decade, along with a matching $3.7 million from the city. Sprint expects to spend $7 million for the free Wi-Fi along the streetcar line. Cisco plans to build a unified network for Kansas City to use that can be monitored from a single location, automatically, to track traffic, parking, streetlights, streetcar movements and more. Nobody is willing to publicly put a dollar amount on the overall utility efficiencies that can be realized. However, Cisco partner Sensity Systems, an outdoor high-tech lighting provider, says the city can save $4 million a year with LED streetlights that can be dimmed automatically for precise ambient light conditions -- lights that are also cheaper to maintain. City officials are working with Cisco to install various sensors, including controls from Sensity Systems, for new LED streetlights to improve operating efficiency. Various other smart city sensors could be added later. 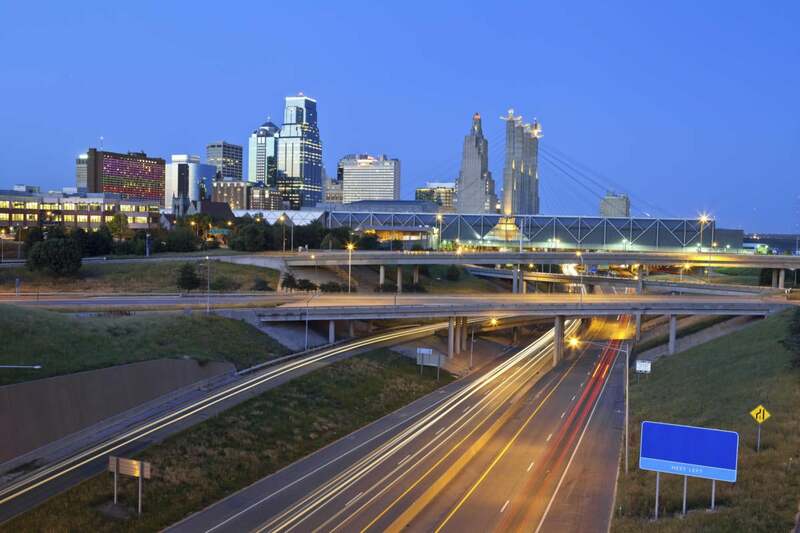 Cliff Thomas, managing director for Cisco smart and connected communities, called the Kansas City effort a "sandbox for new urban services," where inputs from citizens and even small app developers will enrich the process. It helps that Kansas City has a "pioneering spirit and a can-do attitude that is unique," he said. As with just about anything connected to the Internet, there's potential ad revenue for the city. In addition to getting free Wi-Fi along the streetcar route, smartphone users might also get useful, targeted ads -- even real-time promotions for restaurant specials — assuming they opt-in to share their location and other personal information. The city has pledged to follow data privacy best practices and in April, the City Council passed a resolution reaffirming that commitment. Tom Gerend, executive director of the KC Streetcar Authority, is also chairman of the city's newly created Smart City Advisory Board. The board plans to offer guidance on user privacy concerns, along with a raft of other questions touching on the ROI from the project's components. "We know, generally speaking, what's being installed [in the smart city area], but the conversation is how do we leverage it?" Gerend said. "How do we utilize it to achieve outcomes that the city is striving to achieve in terms of customer satisfaction and services and to do so in a cost-effective manner that allows these systems to pay for themselves over time? It's all new. There is no road map." In one potential smart city app, a driver could find a parking space from a car console or smartphone, then pay for it wirelessly and only be billed for the precise time used. "Why feed a meter for more time than I'm going to use?" said Herb Sih, managing partner of Think Big Partners, which is working with Cisco and the city on the project. Think Big recently opened a collaborative office space for developers and entrepreneurs in a renovated historic 1903 warehouse just steps from the streetcar line. The building is within a short walk of the Sprint Accelerator, another site for innovative tech startups. One way Kansas City expects to capitalize on startup talent and freelance developers is through a public-private partnership called Living Lab, which will create and test applications to solve a multitude of urban problems. Living Lab hopes to take advantage of the "power of citizen innovation," as Sih put it. As with many innovations, it's hard to predict what applications the Living Lab will produce, much less how some urban problems are defined. "We don't even know what we need...for the mega-cities of the future," Sih said. The same can be said for Kansas City. The city's smart city project is "very ambitious," acknowledged Rick Usher, assistant city manager. "The possibilities that are offered to city government...give us better ways to deploy our resources to maintain that infrastructure.... The exciting part is that we don't know what we don't know. As we deploy this technology we're going to discover things that can be solved or identify problems we can work on." Kansas City won't be the first smart city "but hopefully the next most important," Sih said. The goal is to "make ours more pragmatic and more accessible."